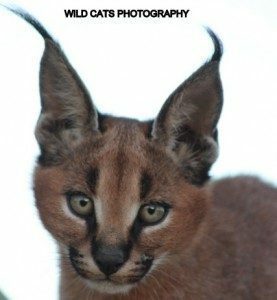 COME AND VOLUNTEER AT WILD CATS WORLD! 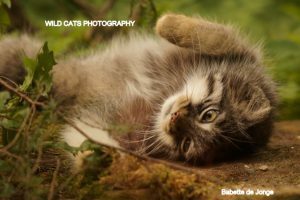 For true die-hards or genuine caretakers we in Wild Cats World have a special offer. We do offer people the chance to come and work for a longer period of time at our Spotted Cats Conservation project in South Africa. We give you the opportunity to spend time in South Africa and actually work with the amazing African wildcat species in our project, like leopards, cheetahs, servals, caracals, African wildcats and Black-footed cats, caring for them, spending time with them and learning about them, having the ultimate African experience for a longer period of time. A different way of volunteering without the extra volunteering costs. There’s accommodation in Kirkwood (close town near our farm), room(s) for rent for a very good monthly price. For more info write to us, info@wildcatsmagazine.nl. It is important to ask for availability and book in advance as we can only have 2 (or max. 3) people at the same time. This opportunity is just for volunteering periods of time for one month and more. Write us and ask for the different offers for volunteering, with different prices. Accommodation self- catering. Why is the cub not being raised by its mother? What happens to the facility’s cubs when they grow up? If they are released into larger wildlife areas, where are these and can the facility provide documentation to prove a viable and ethical release process? If, and therefore once cubs have been released, do they have the opportunity to live out their natural lives, or are they hunted? If they are sold to game reserves, is their future secure or is this a cover for simply being hunted? If they become part of a breeding programme, for what purpose? What happens to the facility’s surplus animals?